Describe the Internet of Things and how it applies to manufacturing industries. The Internet of Things (IoT) refers to connected devices that can network and communicate with each other and with other web-enabled machines. This trend is being driven by our increasingly smart and connected world and the acceleration of big data analytics to extract value from data. With IoT technology spending forecast to reach $772.5 billion this year — an increase of 15 percent over 2017 — the world’s top manufacturers are set to shift into exhilarating overdrive down the path to AI-driven and IoT-enabled automation. How are factories changing to adjust to new IoT technologies? IoT technologies enable legacy machines to be connected, exposing the dark data that could only be sensed by those directly working with a machine or process---and that is solely dependent on the worker’s human senses. With IoT, we can connect machines to each other, to the systems in which they operate and to humans working on collaborative tasks with these machines. These new intelligent factories can proactively sense machine/operational health and status, and can adjust operational parameters and maintenance execution to maximize flexibility, yield and quality. But the increased visibility is not always comfortable for the workers or leaders in the midst of the transformation. The intelligent factory represents a cultural shift in addition to the technological shift, and requires a digital culture where workers and managers alike are comfortable with the increased transparency in the factory, trust the newly available data, and embrace these insights to put data driven decision-making at the heart of the factory. Tell us about the intelligent factory research findings. I developed the research in tandem with Dr. Faith McCreary, principal engineer, experience architect and researcher. It involved interviews with over 145 participants from 133 companies, primarily in North America. The participants, whose ages ranged from 18 to 66, comprised factory workers to CEOs across manufacturing facilities in a variety of industries. The research uncovered organizational and worker beliefs and concerns that are often are overlooked or underplayed in the wide-sweeping technology changes occurring in manufacturing. 59 percent of participants wanted “intelligent” solutions to take on manual or labor-intensive jobs. Participants envision consumer-like technologies in the factory, with 62 percent wanting smart machines that can partner with humans to complete tasks or can complete the tasks for them. Participants described distrust of new technology and resistance at the C-Suite-level to technology adoption, despite the fact that it would increase efficiency for their companies. Participants saw themselves as potentially being at risk if they failed to learn new processes and navigate the transition successfully. Workers were worried that their factories will leave them behind if the industry changes and they are not getting a chance to learn newer technologies. Participants believe that they influence decision-making about technology and process adoption either directly or indirection. From the factory floor to the C-suite there is an appetite for change, and a belief that change will be a necessity to remain competitive, both for the individual and the company. Have these technological changes affected factory workers or leaders? “Intelligent factories” are changing the way humans work, operate and interact with machines as analytics, artificial intelligence, and Internet of Things (IoT) converge to drive intelligent decision-making and optimize productivity. Fueled by the rapid rise of smart technologies, manufacturers are bringing together Industrial Internet of Things (IIoT), connected machines, robots, sensors, smart devices, generalized compute technologies, and a steady stream of real-time data analytics to automate many of the mundane—and not so mundane—tasks of the factory and the larger manufacturing system. But workers and leaders must learn to trust the data. On the one hand workers expressed concerns that perhaps increased transparency that data enables will result in more comprehensive tracking of individual worker activities. Leaders, on the other hand, noted that in an data driven decision making environment, poor decisions would show themselves much more quickly. In both cases, the operational transparency created by data is a daunting prospect. Once again, a digital culture will have to be grown in many companies. What are the main concerns in implementing these technologies? Main concerns involve the need for training and skills gaps for manufacturing technologies. Participants often had concerns about the new technology fitting in with existing equipment and saw themselves as potentially being at risk if they failed to learn new processes and navigate the transition successfully. Additionally, at leadership level, many do not want to invest in training because they are worried that they might lose their workers and thus their investment. Managers were worried about the increasing inability to find and keep skilled labor, particularly as the skills required for manufacturing keep changing. Why is Intel interested in Industrial IoT? The influence of the IoT reaches across an entire ecosystem of things from consumer products to advanced manufacturing automation solutions. From industry to industry, IoT solutions impact the way companies design, manufacture, operate, and service products. It also redefines and optimizes existing business processes across the value chain. The IoT market will have a significant, long term economic impact, which is why we are invested in the future of industrial IoT. Why did Intel conduct this research? What did you seek to uncover? The industrial Internet of Things (IIoT) is rapidly transforming how humans work, operate, and interact with machines. For Intel to develop components and solutions that can help manufacturers, we must understand manufacturing operating conditions across a wide range of industries and production methods, and we must be able to link current operations to pain points that workers, managers and leaders in these environments face. Good solutions only emerge through a thorough understanding of the problem space. We aimed to uncover organizational and worker beliefs and concerns that are often are overlooked or underplayed in the wide-sweeping technology changes occurring in manufacturing to refine the dialog about what it means to operate in an Industry 4.0-like environment. These findings should be ongoing and look to grow our understanding of this transformation by actively partnering with those engaged in the journey. With this understanding Intel – and its ecosystem partners – can better develop the solutions that will be needed, and can anticipate things that will both hinder adoption and those that will accelerate adoption. It starts with the decision-makers and users of the technology. While we expected to find that factory workers were resistant to change, a majority of survey respondents believe that change is inevitable and essential for success. In fact, when we asked participants what the worst possible vision of the future looked like, they indicated that the worst future was a future where their jobs did not change, their understanding of the operations did not change and where they were not able to get ahead of the existing operational problems. “No change” is the worst possible future that many envision. They want factories to change because they are worried if there is no change, they will be less competitive as a worker, and that their company will be less competitive as an organization. They want to learn the right skills to operate advanced systems and adapt to any changes in technology. What’s next for Intel as related to IIoT? This information allows us at Intel to understand new technology systems within manufacturing and how to develop data-driven solutions through a combination of systems. Our study also creates a framework for further discussions from the factory floor to the C-suite, and across the ecosystem of partners that will need to come together to create and execute these new IoT solutions. Intel is on the high end of digital intensity. We seek to be an advisor, solution provider, and co- traveler on this journey by providing solutions before problems arise. 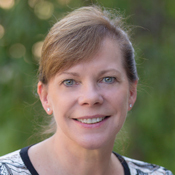 Dr. Irene J. Petrick joined Intel in 2015 and is Director of Industrial Innovation in Intel’s Internet of Things Group. Irene focuses on emerging technology, social, and global trends and their combined impact on the industrial space. Her work highlights the industrial internet of things, edge computing, the transition to intelligent manufacturing and the needs of the future workforce, 3D printing and distributed manufacturing and the new business models that are enabled by intelligent manufacturing. 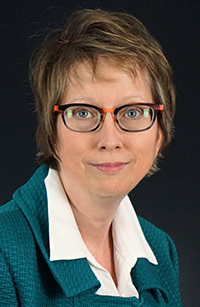 Prior to joining Intel, Irene was a faculty member at Penn State University in the College of Information Sciences and Technology (2003 – 2015) and the College of Engineering (2000-2003). She has been actively engaged with companies in their innovation and technology strategy activities for over 25 years, including work with twelve Fortune 100 companies, the U.S. military, and a wide variety of small to medium sized enterprises. Petrick has been named a Boeing Welliver Fellow, a CSC Faculty Intern in India and has won both College and University teaching awards. Irene is author or co-author on more than 165 publications and presentations. Faith McCreary is a principal user experience researcher and strategist at Intel Corporation. She has a passion for using data of all shapes and sizes to transform complex systems in ways that work for humans. She has a long history of researching the impact of emerging technologies on work, and has worked with a wide range of audiences, including remote workers, rocket scientists, physicians, teachers, elementary school students, financial experts, software engineers, and marketing gurus. In recent years, her focus has been the Industrial Internet-of-Things, otherwise known as IIOT. In the world of IIOT where smart + connected is becoming the new ordinary, her job is to understand how industrial workers will experience these technologies and how these new technologies will shift the nature of industrial work.